Before the official release of the evoPOWER Vigor 1, Puma introduced a customary Camo version to help tease the new boots technology. 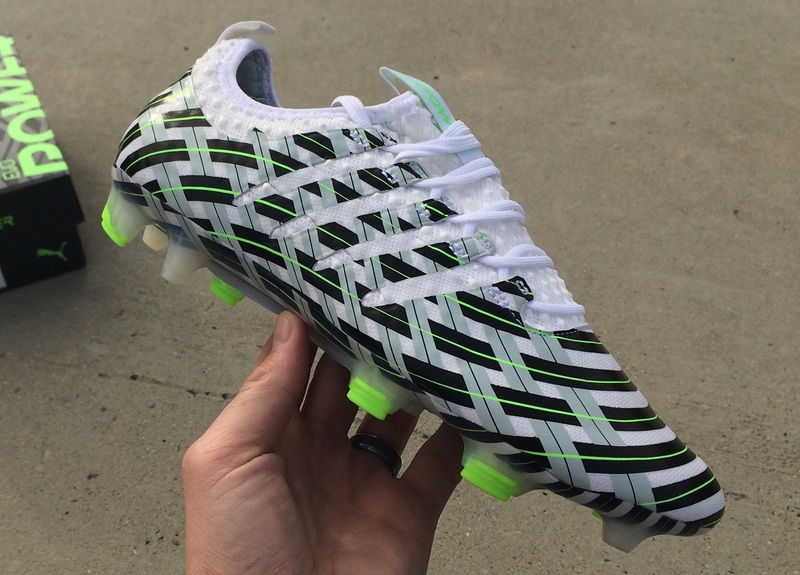 Underneath that wild exterior pattern lies the exact same boot and technology found in the at market release. In order to get ahead of the game, we secured a pair of the Camo version and have them in testing to find out what they have on offer. In the meantime, I wanted to offer some initial reaction as to what they have on offer, in case you want to jump on a pair right now. Find the evoPOWER Vigor Camo available at soccer.com. Well, that is a pretty obvious statement. What I mean here is that they are so much more than just an “updated” version of the boot. 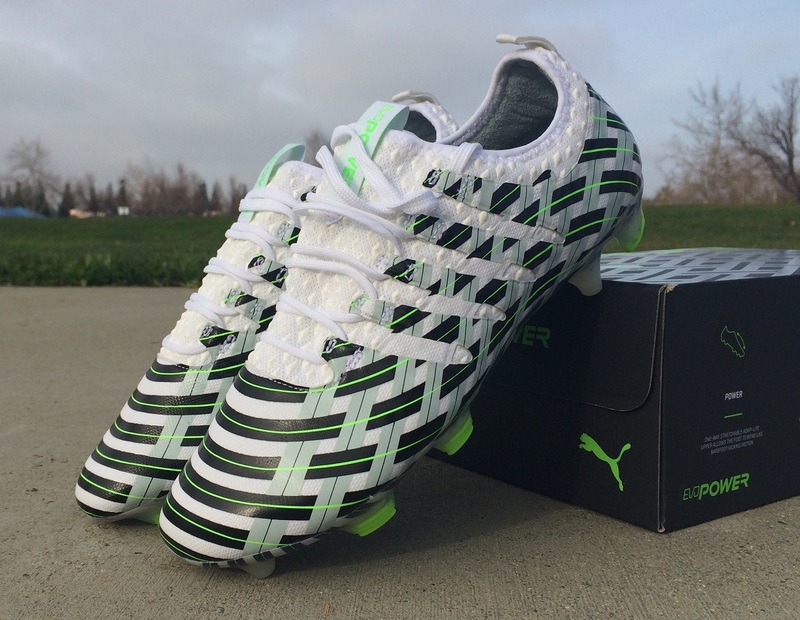 Instead, Puma has made the bold move of truly evolving the series using a completely new style upper. 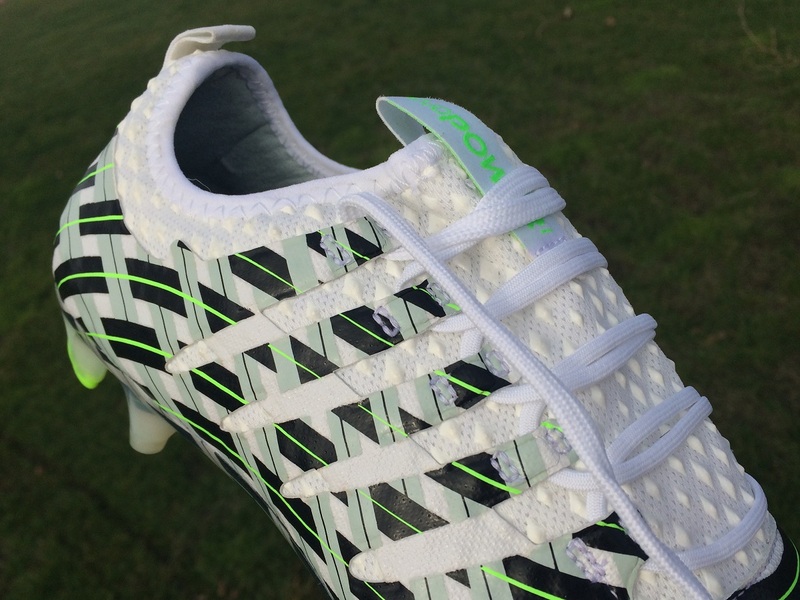 On previous versions of evoPOWER, it was all about the AccuFoam panels that sat across the forefoot. Those large channels were pliable and super useful for connecting with the ball. In creating the Vigor, Puma has gone with a design that features a series of mini-diamond shaped AccuFoam dots. The dots even sit around the ankle, an area you are going to use too much. That is, of course, unless you are Olivier Giroud. Ironically, that is the area he used to strike the ball when scoring that scorpion kick! In order to get your feet into the boot, it does take the use of both pull tabs. Puma has employed a tongueless design using a spandex sock design. This helps create an extra snug fit right across the midfoot while providing some needed stretch through the ankle lining. Especially through the first few wears, you will need to angle your foot in and use the pull tabs to get the boot in place. Even with that snug fit, I’d compare them as being true to size in length and width. Again, Puma use one of the best soleplates available on the market. The GSF system offers flex in both directions and features a mix of bladed and conical studs. Based on PUMA’s research into how force travels on the stance and kicking legs, the boot features bladed studs that ensure perfect ground penetration and stability, especially on stance leg, and conical studs for optimal agility. Obviously, the purpose of the Vigor Camo is to draw your attention away from some of the tech hidden underneath. Visually, they are very striking and definitely stand out on feet. In hand, the pattern is dizzying and you have to really inspect the boot to comprehend just what is going on with them. Do I like the design? At first, definitely not. When I saw them first, I wasn’t impressed with the Camo styling. But, I have to admit that they have grown on me a little over time. Not my favorite Camo release of all time, but you have to appreciate their uniqueness. In reality, this really is a bold move by Puma. 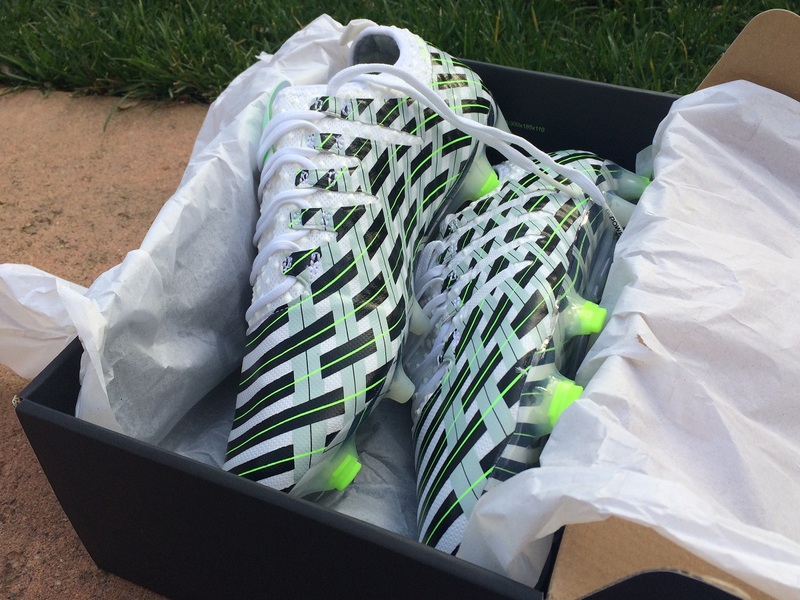 The first and third edition of evoPOWER performed so well, so much so that both rank among the best boots we have ever tested. It puts a lot of pressure on this release, and the fact that Puma completely altered the construction means this should prove to be an interesting boot to test! If you have any immediate questions about them, let us know in the comments below and we will try share some wisdom. The one thing I’m not about is the over-inflated price of the Camo version. Obviously, pre-access to the boots comes at a premium and that accounts for the price. If you want the Camo version, just note that if there are any unsold pairs they will drop in price relatively quickly! 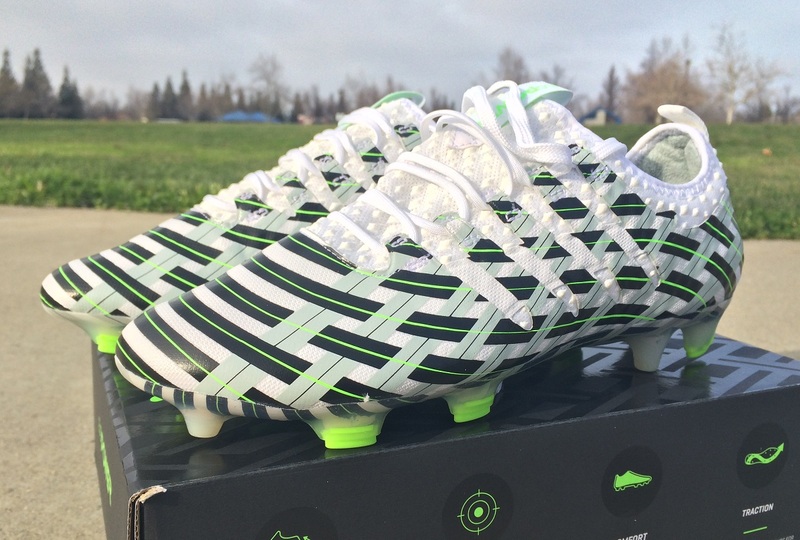 The evoPOWER Vigor Camo is available for $274.99, or you can go with the release colorway for $219.99. Giroud was still wearing the blue/red evoPower 1.3 when he scored the scorpion kick. Also, that would merely be a coincidence and not irony, but that's just ticky-tacky English stuff. 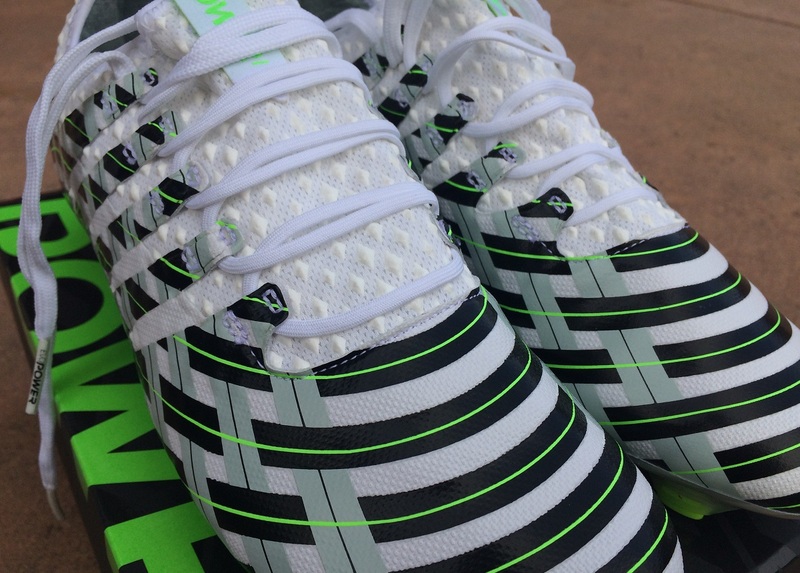 What type of feel does puma evopower vigor are intended to?